BERCEN has established itself as a pre-eminent manufacturer of coating additives. Remaining laser-focused on quality and bringing innovative value-added chemistries to paper manufacturers. We have an extensive line of products under several BER-brands. We pride ourselves on providing the technical know-how which sets us apart from our competitors during grade development and when troubleshooting coating issues. BERSET chemistries provide coating insolubilization. These products are used to add coating strength for coatings containing either natural or synthetic binders. The key metric involves the ability for the coating to maintain integrity through the printing process and for years afterwards while in use. Ammonium Zirconium Carbonate (AZC), cyclic amide condensate, and modified glyoxal chemistries can all be employed in both pigmented and non-pigmented coatings. BERSIZE chemistries provide water resistance to paper. There is a range of chemistries applied to both the wet-end of the papermaking process as well as to the dry-end (finishing) process. Depending on the desired functionality, modified hydrocarbon waxes and various synthetic reactive chemistries such as modified acrylics and imadazolidone are employed. In select markets, BERSIZE products are marketed under private-label agreement with major chemical companies. 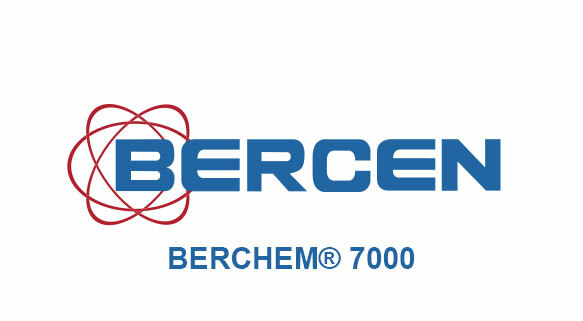 BERCHEM is Bercen’s flagship brand for paper chemicals. The BERCHEM product line includes Optimization Additives, Dispersants, Lubricants, and other multi-functional chemistries. Many of these products contain renewable, bio-based chemistries. Bercen holds a patent on the diglyceride lubricant, BERCHEM 4136, which is widely considered the top-tier technology for high speed paper coating operations. Let us find the right solution for your needs!